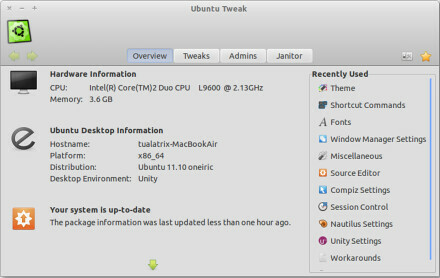 Ubuntu Tweak is an application designed to config Ubuntu easier for everyone. It provided many usefull desktop and system options that the default desktop environment isn’t provided. At present, It is only designed for Ubuntu GNOME Desktop, and often follows the newest Ubuntu distribution. 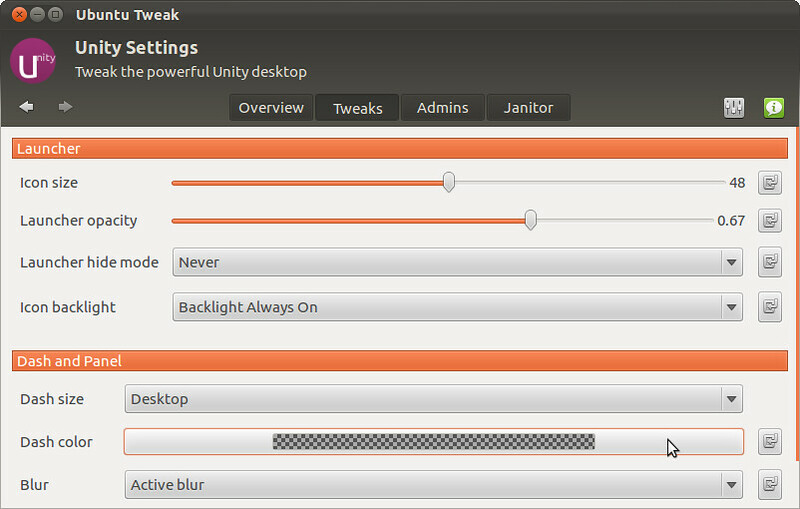 Adjust panel opacity, change fonts, clear unwanted cache are actions that can be easily performed via Ubuntu Tweak, a tool specialized in dealing with numerous Ubuntu tweaks in one, friendly, global place. Here is site of Ubuntu-Tweak.